These are lyrics by Common that we think are kind of repetitive. 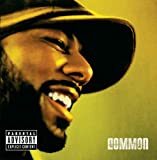 Common's, "Electric Wire Hustler Flower"
thats most of the song. can anyone tell me what the hell it means!! !